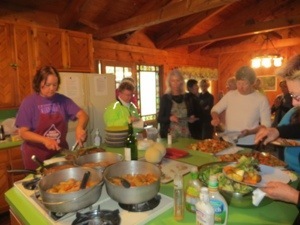 After dinner last night, we were treated to quite a sky show, thunder, lightning, and plenty of rain. The skies were threatening this morning, but the weather report suggested we would not have a storm. We did get a few drops shortly after we left town, but the roads were not too wet. 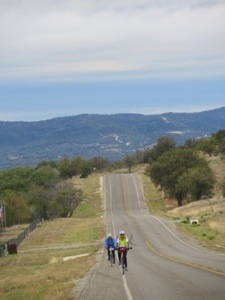 Carol warned us of the climbs, so I decided to take the day slow and easy. 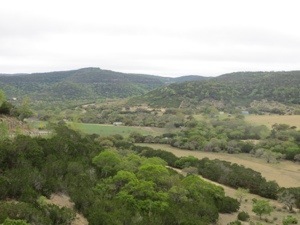 Due to the overcast skies, the photos do not reflect the beautiful scenery. 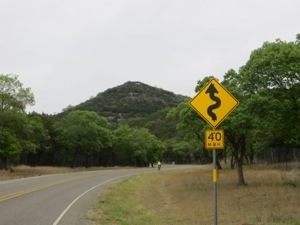 At mile 8, the climbing began – these signs warned us. 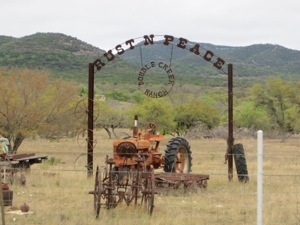 Also enjoyed passing this ranch. 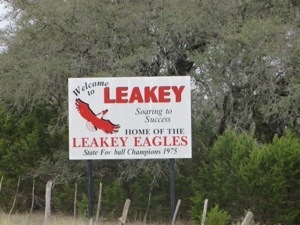 For a break in the climbs, we stopped in Leakey. 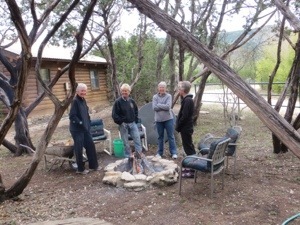 Most of our group stopped at Ella Purl’s, where they could get hot coffee and/or soup. I looked at the customers and discovered Brian Champagne wearing a Carmel Greyhounds sweatshirt. He actually is from Houston, but Kamberly Bebo, who was with him is from Carmel. 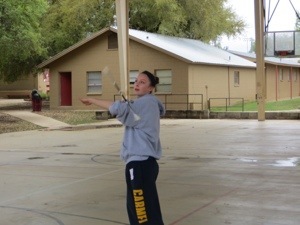 Her daughter Adeline Bebo is an award-winning baton twirler, who performs with the Carmel High School band. 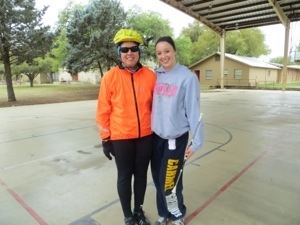 I rode down the street to the high school where she was practicing in the pavilion- small world. 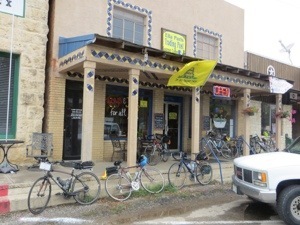 As I left Leakey, long after others had gone, I discovered a front flat tire. 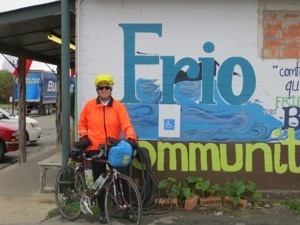 I calmly changed it and was back on the road, with more climbing ahead. 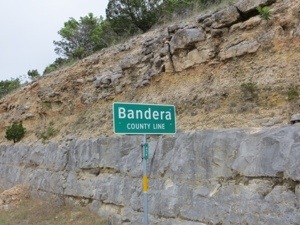 Just after the last big climb, we moved into Bandera County. 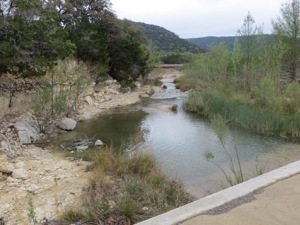 More beautiful views, including the Sabinal River. 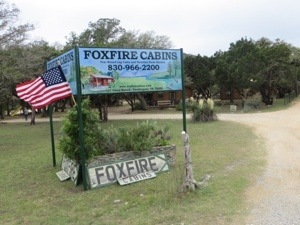 We are staying at the Fox Fire Cabins; my cabinmates are Leilani and Pat Calchina. 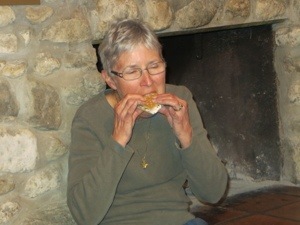 Linda fixed pot roast for dinner, luckily indoors with a nice fire, followed by s’mores. Total 40 miles today; average 8.6 mph. 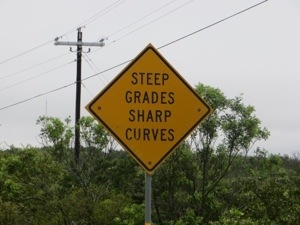 GPS readings over 3,500 feet of climbing, some 8-10%, at least one over 11%. 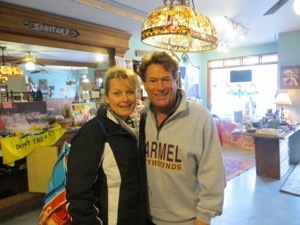 Wow, what are the odds of running into another Carmel-ite in Leakey, TX? It truly is a very small world!! Love keeping up with your blog every day. I see Don occasionally in the office. Can’t believe you’ve been on the road for almost a month already. Time flies when you’re having fun, doesn’t it? 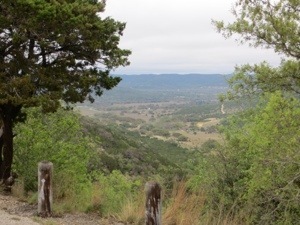 So glad you are starting to get into the hill country. Hopefully you star seeing all the beautiful wildflowers. See you Sunday .